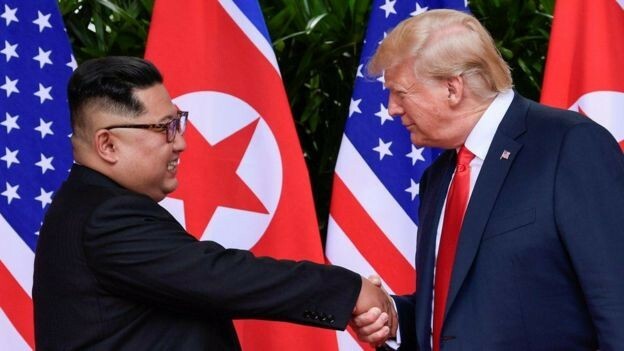 North Korean leader Kim Jung has written a letter to the US President Donald Trump in which he expressed his desire to meet once again after a meeting in the US President-to-June. The statement issued by the White House, according to the US, has started working on this invitation. White House spokesman Sarah Sendez says it was 'a very emotional letter' and it shows that 'North Korea is serious in determining nuclear weapons'. No progress has been made since the meeting of both leaders in Singapore in June. The main objective of this letter is to request a re-appointment and determine whether the meeting can occur. We call this request and we have started working in this regard. ' However Sarah Sendez did not give any indication when the meeting would come. South Korea President Moon J. declared this news as a welcome saying "It is the most important thing to clean the Korean region with nuclear weapons, which will have to be solved by the US and North Korea interactions." South Korea that President Moon J. has been very important in his meeting in June and he is going to meet himself next month with his North Korean counterparts. Lara Bakkar, BBC correspondent in South Korea's capital, says that I look at him as a mediator and he has called both leaders to take action. US spokesman Sarah Sendez praised North Korea, saying that the "parade" was not about nuclear weapons last week. Appreciating President Trump's policies, he said that North Korea's behavior has changed due to them. It is clear that North Korea had shown its military, tank and other weapons in the military parade, but it did not include international missile missiles. In the meeting in June, both the leaders had agreed that the Korean region should be cleared from nuclear weapons, but did not give any timeline or talk about its method.